Today is the start of European Robotics Week, now in its seventh year. Its main aim is to show the growing importance of robots and how they can improve people's work and daily lives. In the home, in the factory; for transport and logistics, environment and agriculture, healthcare, sports, search and rescue. Robots can be used to assist and complement humans in dull, dirty or dangerous tasks like inspecting petrochemical containers and power lines, or sorting nuclear waste. In healthcare, robots and artificial intelligence (AI) can analyse patient data, improve diagnostics and support surgeons in critical interventions. Robotic fish – 'green robots' – can swim through harbours to identify chemical pollutants or leaks from oil pipelines. These are just a few examples of how new technologies can help improve our lives and environment. From today, dozens of labs across Europe will open their doors to the public. Hundreds of events are organised (map) for European Robotics Week – for example, in Brussels, the Committee of the Regions will host a series of EU-funded projects such as Cyberlegs. This is a bionic leg which combines artificial limbs with wearable robots to allow amputees to walk more naturally and with less effort. The Commission has long understood the importance of robotics and AI. In 2013 it set up SPARC, the Public-Private Partnership for Robotics in Europe: up to €700 million of EU funding for 2014-20, bolstered by an extra €2.1 billion of investment committed by the industry. This is good – but not enough. International competition is fierce. This summer, China announced a major plan on AI, competing with the United States to become a world leader in this area. Every year, tech giants invest several billions in AI research and innovation. So, where is Europe? We have excellent researchers as well as innovative startups. European industry is also in a good position. 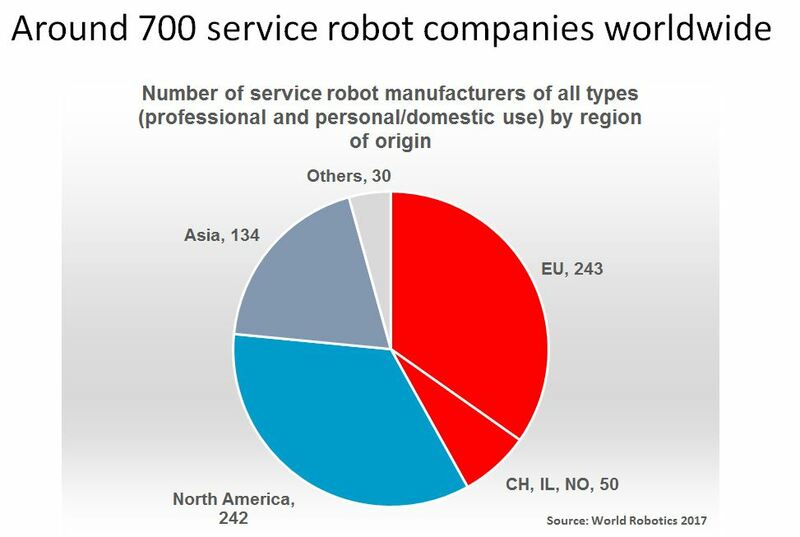 As you can see from this graphic, as a world region, we are home to the highest number of service robot manufacturers. But to maintain this strength, it is no secret that we will need to invest more. European leaders and institutions are well aware of the opportunities and challenges offered by robotics and AI, and of the need to step up efforts. We are now working on a European strategy on robotics and AI, planned for early next year. This will look at how best to promote AI to benefit Europe's people and businesses, our society and economy. It will also address ethical, legal and socio-economic aspects. Our work to build a Digital Single Market is essential for encouraging the development and take-up of new technologies. One question that I have often asked, most recently at the G7 on ICT in Italy: what is AI without data? Access to data is vital for training and improving AI systems. This is why, in September, we presented a proposal to ensure the free flow of non-personal data in the EU. We will do more to unlock data; later in 2018, we plan to present an initiative on the accessibility and re-use of public and publicly funded data. We will also explore the issue of privately held data that is of public interest. And to process data, you need massive computing power. This is why the Commission has launched a high-performance computing initiative and a flagship project on quantum technology. To keep it all safe and secture, the Commission has presented a series of measures designed to strengthen cybersecurity in the EU, as well as privacy rules for all electronic communications (e-privacy). As from May 2018, our data protection regulation will ensure common standards and rules across the EU. Along with the start of European Robotics Week, today is the day for the Social Summit in Gothenburg, whose focus is on promoting fair jobs and growth. There are many fears about automation's impact on jobs. A recent Eurobarometer survey shows that 72% of respondents believe robots steal peoples' jobs. However, the reality is more nuanced. Robots can bring back jobs to Europe: automation makes labour costs less relevant in decisions on where to locate production. Just one example: in 2016, Adidas relocated production back to Germany of one specific model of shoes to a factory using robots. The company intends to open more such ‘speed factories’ in Europe in the future. 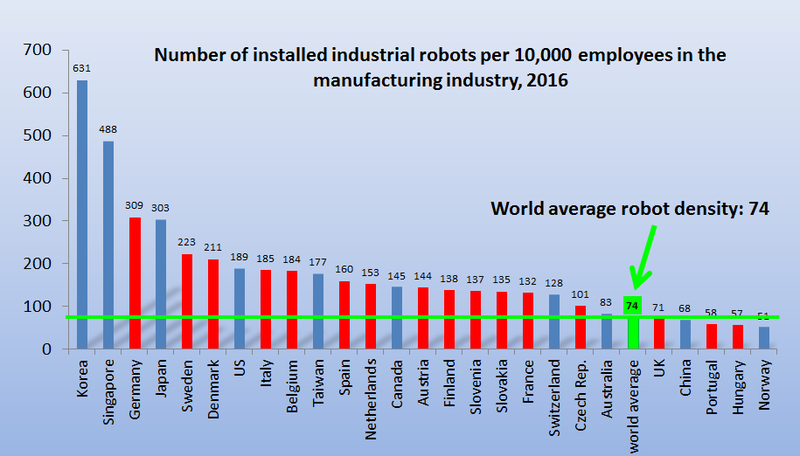 A high number of robots in factories does not mean a country has high unemployment. Europe's challenge will be to help workers gain the right skills. We do not want a situation where there are obvious 'winners' and 'losers' from the digital economy. People who risk losing their job because of digitisation need - and deserve – our help. We are helping EU countries to integrate digital learning across all curricula. Several EU schemes already help people to develop the right digital skills, along with re-skilling and up-skilling as needed. The evolving demand for digital skills in industry also requires companies to get involved. However, they do not always want to invest in training employees to keep up with new processes. I think this is an error. And the best companies do invest in their workers, heavily and systematically. This was my message to the Council of European Employers of the Metal, Engineering and Technology-based industries (CEEMET) earlier this year, which is working closely with its trade union partners from INDUSTRIALL on skills and employment. We should not be afraid of technology – or of new technologies. Together, we can make sure that they work for everyone.